In 1984, Barbara Tuchman published an extraordinary book, “The March of Folly.” ‘Folly’ can be translated as ‘madness,’ but I think here the best word would be ‘senselessness’. From the Trojan to the Vietnam Wars, Tuchman examines various episodes of transcendent senselessness that altered history, with often disastrous if not catastrophic results for nations that had the bad luck to depend on senseless or barbaric decisions. Here in Perú, we run the risk of suffering another case of political senselessness. Which one? Namely the forceful eradication of coca plantations in the Apurimac and Ene River Valley (VRAE). A recent statement by Assistant Minister of Defense Iván Vega dissipated any residual doubt on the manner. Vega and, more importantly, President Humala, know that forced eradication has and continues to be, precisely, “enter and wipe out the cultivators.” And they know that is the intention of Devida and the Corah (the authority in charge of carrying out the eradication). Furthermore, they know that the eradication will be performed from the start by a massive concentration of eradicators, under the protection of the military and the police. And that it will be initiated in the areas of the VRAE where the people rose up in the 80s against the tyrannical Sendero Luminoso (Shining Path), setting off a bloody campesino war, in which, according to several sources, one in ten VRAE inhabitants died before they were eventually able to wipe out the Sendero and push on to Vizcatán. These campesino fighters were the DECAS. Unlike in other places, they did not fight under Armed Forces orders, but acted essentially alone, especially at first when it was thought they would be decimated by the Sendero. Eventually relations and coordination with the Armed Forces improved, but the DECAS always maintained their organizational independence. Pichiwillca and Palmapampa – where the eradication will probably start – were the heart of the revolt against the Sendero and where it really began in 1984. The Sendero was never confronted with such decided enemies as there. Several years later, when the new Quispe Palomino Sendero came to the campesinos asking for forgiveness for, as they affirmed over and over again, what Feliciano and Abimael Guzmán (whom they now vehemently repudiated) forced them to do, neither Pichiwillca nor their followers listened to them. Now that the Government has had a few exceptional successes (especially its operations culminating in the death of ‘Guillermo’ and later of ‘Alipio’ and ‘Gabriel’), and now that creating a closer relationship with the public has become indispensable in order to erode the Sendero’s political base, this same Government is preparing to attack, through forced eradication of coca plantations, its best and most decided allies in its historic (and also present) fight against the Sendero. And so, if the madness of eradication persists, it will very likely lead to conflicts between the campesinos and police and military in the same place, Pichiwillca, where less than a year and a half ago, two generals (Manuel Gómez de la Torre and César Díaz Peche) marched alongside the coffin of Antonio Cárdenas in final homage to the young and talented leader in the fight against the Sendero. Obviously if he were still alive, Cárdenas would have led the resistance against forced eradication. Who has offered unconditional support to coca-producing campesinos to resist eradication? So in deciding to proceed with eradication in the VRAE, the Government will manage to sabotage itself in two ways simultaneously. On the one hand, by helping the Sendero recuperate its image by giving it a popular cause to defend: that of the coca producers. On the other hand – especially if it goes too far in its repressive tactics – the Government will successfully consummate a superlative self-sabotage: reconciling the DECAS with the Sendero, in its role as defender of the coca planters. In light of this probable cost so perilous in terms of national security, one can only ask oneself for what reason could the President of the Republic make such a decision. Is it an unavoidable, albeit painful and debilitating, measure? Is it necessary in the fight against drug trafficking and organized crime? The answer to both questions is unequivocally ‘no’. Coca eradication does not help the fight against the drug trade. It only helps keep some unreasonable fanatics quiet. The entire 30 years of experience in eradication here and in Colombia demonstrates its futility in the fight against drug trafficking. In Colombia, where fumigating coca plantations with herbicides has been suspended, even anti-drug authorities have recognized that it’s an onerous method that does not impede the drug traffic and only harms campesinos. It is grotesque to think about attacking the VRAE by eradicating its coca planters, knowing how drug trafficking operates there. The VRAE is full of clandestine landing strips, where an increasing number of planes land and take off daily, in view of a lackadaisical Government. Recently several clandestine landing strips were dynamited. They were public relations exercises without any operational usefulness. In fact, the people there were happy to see the drug traffickers’ strips dynamited, because it ensured work for the next four to five days to repair them. Wiping out poor campesinos’ coca cultivations condemns them to poverty, whereas doing nothing to the landing strips by which drug traffickers export and profit – does that make sense or is it part of the Senseless March? I could understand – but never justify – an error of this magnitude by one of politicians or commentators who know nothing about how the drug trade operates. But the President knows how it works and knows the difference between a coca-growing campesino and a drug trafficker. He’s given a series of speeches in which he clearly expresses this knowledge. So what senseless calculation leads him to sabotage his own successes in the fight against the Sendero and attack the campesinos who previously defeated the subversives? A good statesman would never permit such a breakdown of logic. A good thinker is a good ruler. These are decisions requiring intellectual clarity and integrity, as well as being necessary and critical. 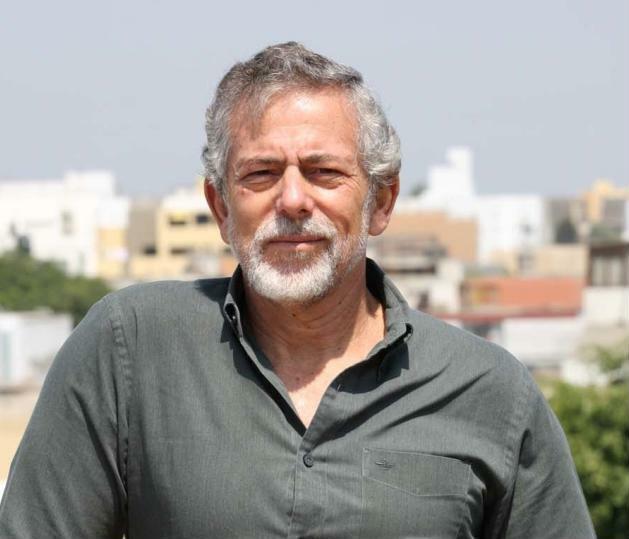 Gustavo Gorriti is director of IDL-Reporteros.